Outside one of Albany’s three state-licensed marijuana retailers. 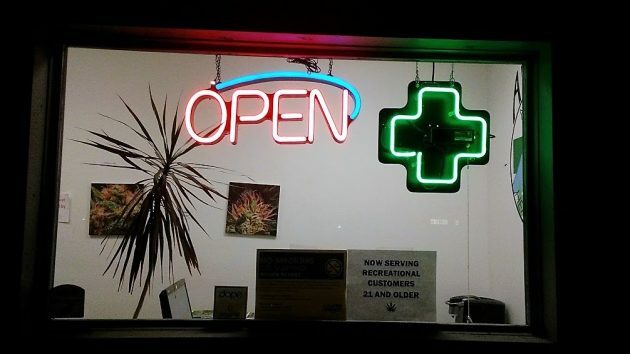 Albany has received its second distribution of marijuana taxes, and the amount, while nothing to sneeze at, is underwhelming in comparison to city finances overall. Last October, Albany announced that it had received its first distribution of state and local marijuana taxes in the amount of $185,244.86. Last week I asked whether any more had come in. Turns out that yes, in December, Albany received another payment. It was for $67,861.86, bringing the city’s total pot tax haul so far to $253,106.72. Both payments included the city’s share of the state tax on pot sales beginning in January 2016 as well as the city’s own tax on marijuana sales within the city limits since the start of 2017. The way the state accounts for this money makes it hard — impossible for the outsider, actually — to figure how much was collected during any quarter, let alone any month. Actually, though I didn’t realize it at the time, Albany’s 3 percent sales tax on recreational marijuana appears to have yielded at least around $27,000 during the first six months of 2017. (I subtracted what the Revenue Department said was its own tax from the total the city reported receiving. Theoretically that should yield the city take, minus 4 percent the state keeps for collecting the money, from January through June.) If I’m right, that shows that for the first six months of last year, Albany’s pot shops reported about $900,000 in retail sales. Trying to divine the tax revenue of local pot retail, we may not have to rely much longer on interpreting state payments and dubious arithmetic. Legislation to be considered by the legislature in February would repeal the confidentiality law on local marijuana taxes in the interest of city budget transparency. 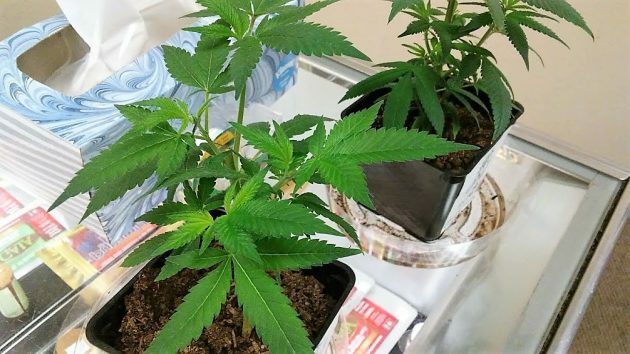 Small marijuana plants on display. The city gleefully accepts the State revenue on booze so why not pot? Pave our sorry streets with green then. At least it would be a start however a “drop-in-the-bucket” it would be. Start with SE 5th! Or 9th between Broadway and Elm. Please! What about schools? I thought the marijuana tax was going to help schools…slowing the need for anymore special bonds. What money if any has gone to schools?